“Make sure you buy the biggest and baddest water gun!” my friend Brian gushed. He’s lived in Thailand for years and was graciously preparing me with tons of travel tips. It turned out I was coincidentally arriving in Chiang Mai the week of Songkran- Thailand’s New Year festival. I didn’t know what it entailed nor what to expect, but surely the good fortune of being in Chiang Mai during the biggest holiday of the year was not to be taken for granted. Although I was traveling solo, I’d never been to Thailand, and I had little idea of what the holiday entailed, I still wanted to partake in some way. Little did I know what awaited me was a lot of laughter, funny attire, and reverting to a child’s sense of humor and play…. at first. But by the third day, I went from feeling like a gleeful child to being reminded that the world has a lot of not-so-nice people and it’s not always a welcoming place for women, especially a solo female traveler. Songkran officially begins April 13 and continues through April 15. It is supposed to last for three days, but many folks begin the festivities (especially throwing water at random passersby) days before and after. Among many other symbols and traditions, the Thai New Year’s festival is supposed to represent cleansing, transformation, and rejuvenation. It begins with visiting family elders, paying them reverence, and pouring water over their palms. The Songkran traditions continue on to visiting temples, offering food to Buddha and pouring water on him. The water represents the washing of the past, including sins and lingering negativity. 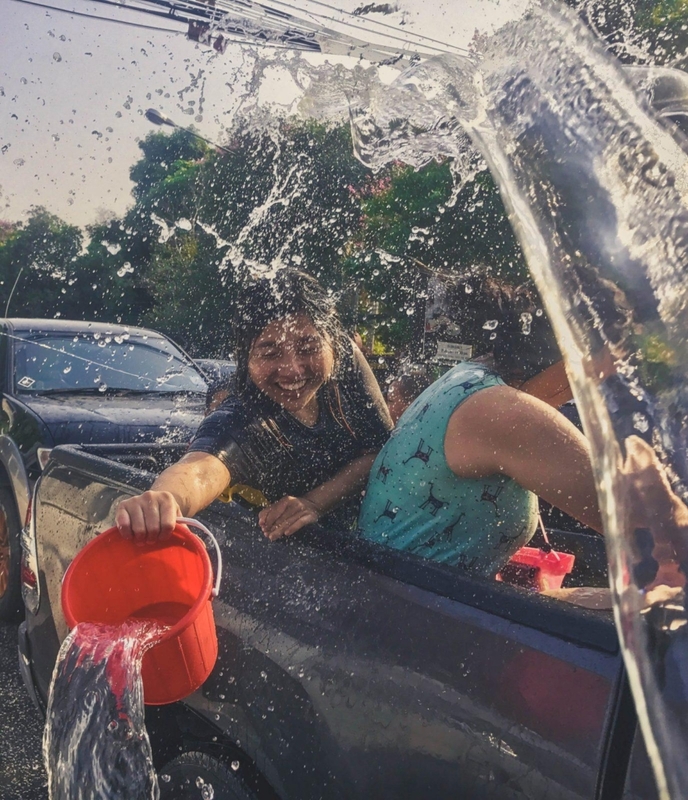 The symbol of water has turned into an iconic part of the Songkran festival, which has become the world’s biggest water fight. The day before Songkran (Songkran Eve), I was heading to my usual café (C.A.M.P.) for work. That’s when I noticed people throwing water at pedestrians, cars, and motorcyclists. 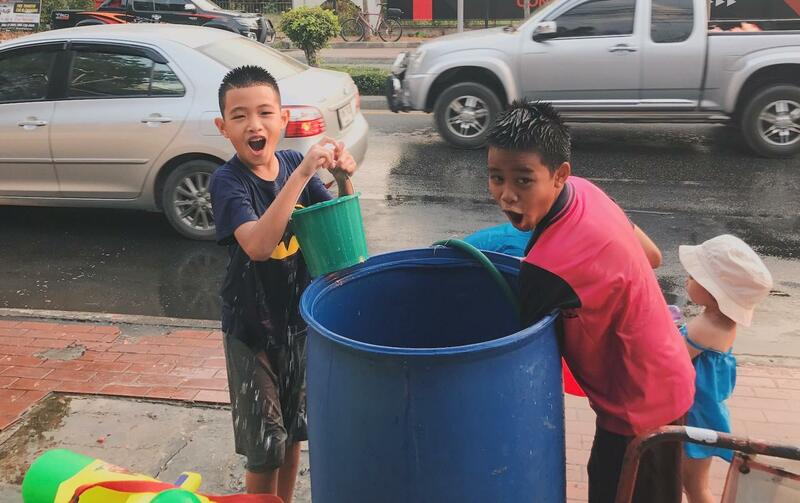 Even though Songkran hadn’t officially begun, folks were already lining up on the streets with garbage cans full of water, aiming water guns, and tossing buckets of water. 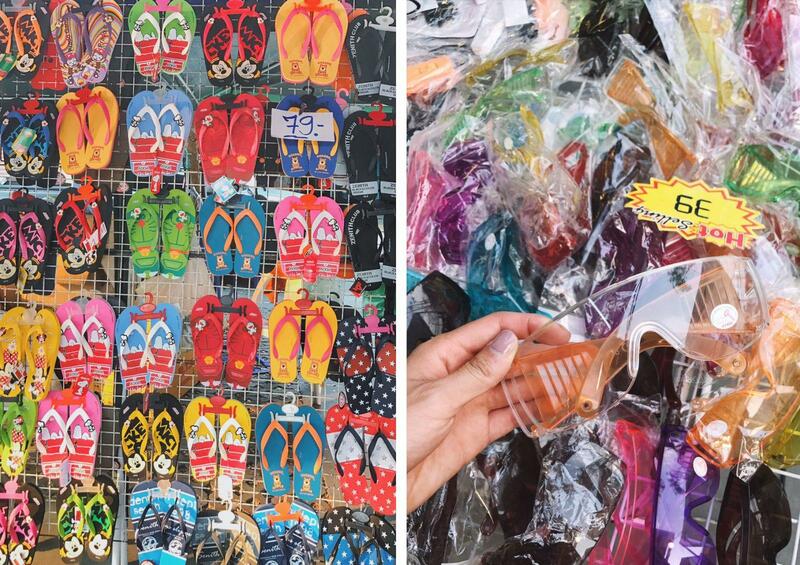 There were tons of stands selling Songkran supplies: water guns, lab glasses, rubber shoes, plastic hats, and plastic containers. The owners of these stands waved at me gleefully. Everyone seemed to be in a great mood. So I went ahead and bought the biggest water gun I could find. As I swung the giant water gun across my shoulders, the street sellers giggled at how it awkwardly contrasted against my small frame. I smiled and waved at the kids playing during Songkran Eve. Their happiness was contagious and welcoming. And when they saw my giant water gun their jaws dropped to the floor in excitement. I would later gift my giant water gun to the little girl pictured below. 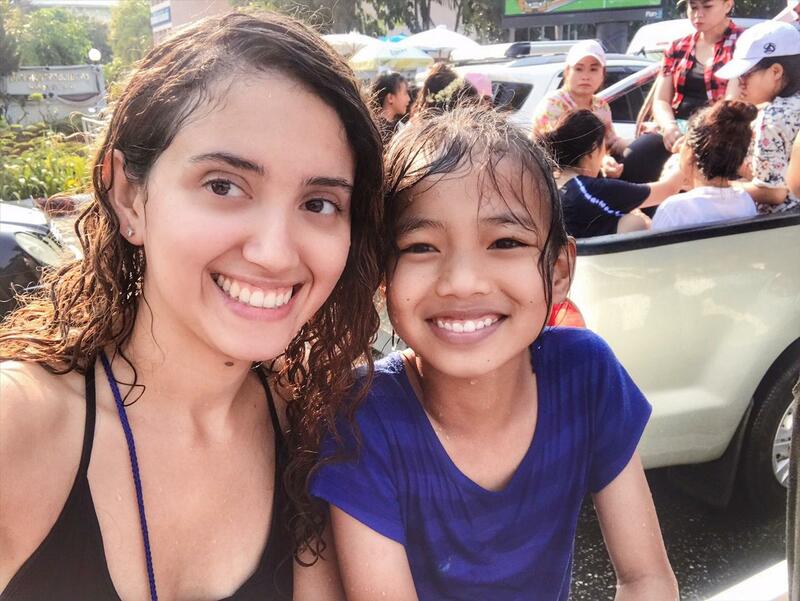 The next day, my new friend (Petro) and I, joined Mo (my Airbnb host) and her family to partake in Songkran. After visiting her elders, we met up at the Chiang Mai moat. 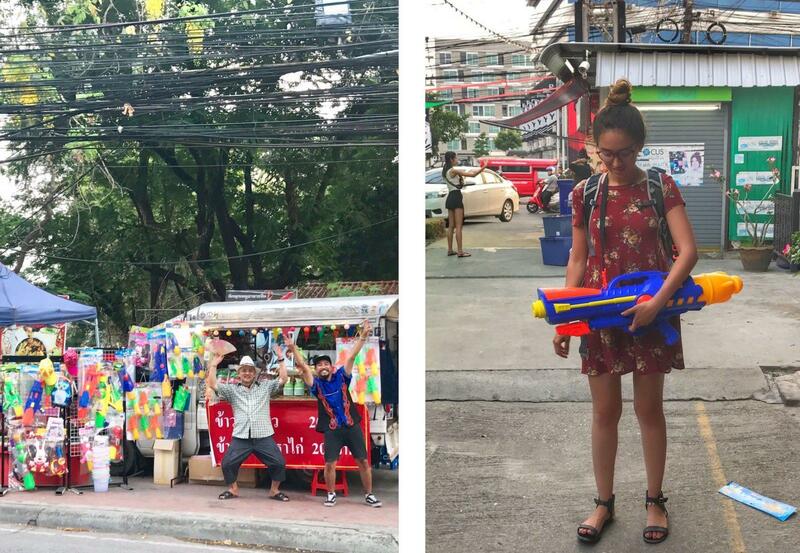 From there, we hopped on the back of their white pickup truck, carrying an inflatable pool full of water, ice, water guns, buckets, and Songkran flowers. We were like fully armed bandits patrolling the city. But instead of bullets, we shot water. I laughed so hard, hitting others and getting hit with water that my cheek muscles were sore by the end of the day. Everyone was soaking wet–even people commuting in tuk-tuks, songthaews, and motorcycles. Both Thai’s and foreigners (farangs) came together and took part in the festivities. 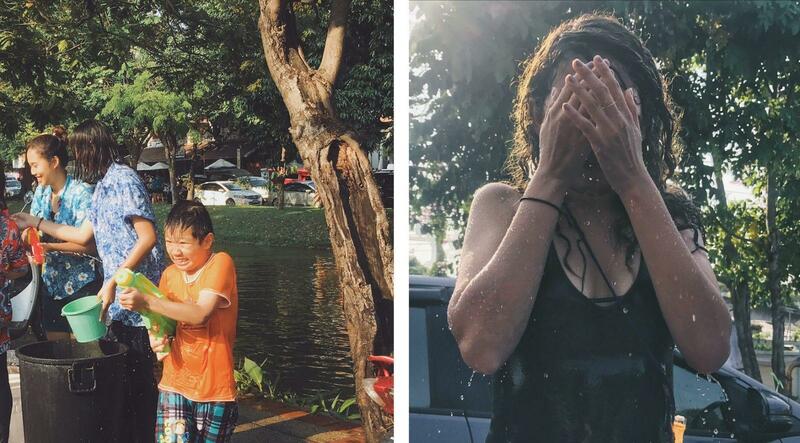 Strangers from around the world connected via laughter and water fights. It was a fun and truly rejuvenating day. I decided one day of running around under ice cold water was enough fun. I skipped the second day to hide out in the mountains and hills of Doi Inthanon (pictured above). Buying this tour package was the best decision to make the most out of my time in Northern Thailand. The city of Chiang Mai becomes immobilized during Songkran, so if you’re here for tourism it becomes difficult to get around and do things. For at least three days, businesses close down, Thai folks stay inside to avoid getting wet, and traffic becomes insupportable. 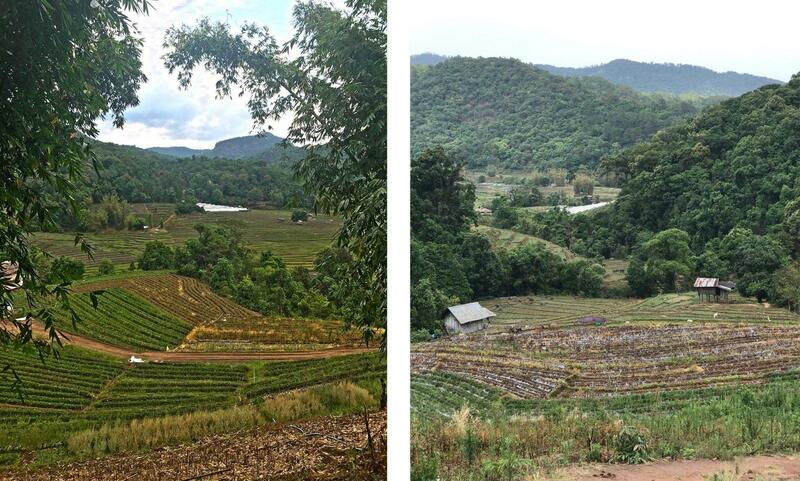 Halfway through my time in Doi Inthanon, I began to feel an increasingly hot and itchy sensation on my scalp. That’s when I remembered: almost all of the water used during the water fights was from the moat. The moat is a fresh-water, polluted, and algae-infested body of water that surrounds the old part of Chiang Mai. And everyone ran to the moat to fill their water guns, buckets, and bins with its greenish brownish water. Yuck. I quickly googled the symptoms of necrotizing fasciitis (flesh-eating bacteria infection found in fresh-water rivers) and confirmed I presented none of the immediate signs. Phew. I crossed my worst fear out of my mind and took a long, hot, extra-soapy shower when I got home. By the third day, the streets were hostile with blasts of ice water. I intended on getting around solely via Uber from door to door to avoid getting splashed. But Songkran had other plans for me. By that afternoon, I was stranded in a restaurant in the middle of the city. No Ubers wanted to pick me up. No taxi drove by my area. I was stuck for hours. Stuck in fear of getting hit with buckets of water because I didn’t want to get sick but more importantly, I had my laptop in my backpack. Then, the restaurant closed down early due to Songkran and I was forced to walk outside. 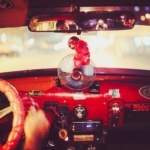 When I finally got into a songthaew, I asked to sit in the furthest seat away from the door. People continuously kept throwing buckets of water into our van. I hugged my bookbag in an effort to protect my electronics. As we approached my destination, the cab driver informed me it was five blocks away but due to the intense gridlock, he could not drive me directly there. I cringed. I told everyone “I have a laptop in my backpack. Please don’t hit me with water.” Most people obliged, a few kept hitting me with their water guns everywhere else but my bookbag. I had a block left to go when two tourists men surrounded me with the intent of not letting me pass through. I shook my head in dismissal and told them I was working and had my laptop on me. The first man warned me, “You don’t think you’re going to stay dry now, do you?” It wasn’t in a playful tone, it was sexual. “Are you Iranian?” His friend asked, flirtatiously. I ignored the question. He blasted water at me and I put my hand over the water gun to block the water from hitting me. That’s when he grabbed my wrist and pulled it aside. I told him he had crossed a line there and to back away. Even his friend agreed. But he was relentless. He continued harassing me and further crossed the line. Fortunately, I was able to defend myself via a solution I do not recommend or wish to promote. They both backed away. A recent survey of 1,793 women, aged between 10 and 40 years, found 51% of them experienced some form of harassment during the festival. After a quick Google search, I discovered that this festival, like Holi and the Full Moon Party, began as an innocuous cultural celebration that has insidiously grown out of hand. These events attract plenty of mal-intentioned men to prey on women to harass, molest, or do worse. Sadly, women must be more careful. The later you’re out, the greater the chance that you’ll encounter some unwanted attention. If you can, try to make friends before going or linking up with others from a travel network or group. Men and Women: Don’t take off your shirts – It’s illegal. Keep your belongings dry in water-proof bags. Invest in lab glasses (pictured above) so you can see while getting blasted with water. Buy a plastic container pouch for your phone so you can still take pictures. Purchase a water gun or a bucket depending on your style of celebrating. A water gun if you’re moving around, a bucket if you have consistent access to a large body of water. Be cautious of people who use ice in their water, as the ice melts they can accidentally throw shards of ice at you. Be wary of the water that’s being used, especially closer to the moat. Anyone with open wounds should avoid contact. Keep your mouth closed to avoid gulping down the moat water. If you need immediate assistance, there is an English-speaking tourist police force in Thailand. Their number is 1155. I had a very similar experience in Chiang Mai. I would never go back there for Songkran. I think it’s great to experience at least once. It’s a lot of fun, especially the first day. But the western tourists have taken it a bit too far. And Chiang Mai is renown for being super messy “crazy party” for Songkran. If I experienced it again, it’d maybe be in a more chill place. Any trip that doesn’t end in flesh-eating disease is a success in my books! I had the exact same experience as you. 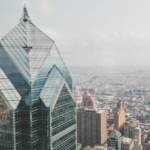 As I read through your post I found myself nodding to everything. I landed on Songkran eve and thought it was so nice that the little children were having fun splashing water in good will. I loved the meaning of Songkran and the water festival. But my god, 4 days of being drenched was too much! And I have to agree that the westerners just made the entire celebration worse. I wrote on a social media platform about that and a friend of mine who was there a few years ago said the locals were just as bad as the tourists. I’m pretty sure it’s because they learned how out of control the tourists get and try to do the same back to them and it just further perpetuated that. I felt locals were more respectful, relatively, when I asked not to be splashed and if they did anyway, I was not drenched and they would do it once and move onto the next victim. (However, I do find that locals tend to go overboard too and try to target foreigners moreso than other locals but I think it’s like a vicious cycle between the foreigners and them with this). Westerners however will make sure you are drenched from head to toe whether that means throwing an entire bucket of water over your head or repeatedly spraying at you (and my face and eyes!). I was also stranded; I thought I was clever going to a mall to stay dry but there was a concert outside the mall and the streets were filled with people. I also had to catch a songthaew which I never taken before and westerners go overboard and try to open our windows and throw buckets of water from the back as I was protecting the new merchandise I bought from the mall. I almost booked a tour to Doi Ithanon and I wished I did seeing how beautiful it looked in your pictures! And as for the harassment, yes I got that too, people trying to splash my chest and get close to me and rub baby powder on my face (this part was in Cambodia however) and it was just too much. I feel the meaning of this festival is lost and it’s become the frat party of the year given how many visitors go to Thailand during that time. Never again!